potential human and animal food in Bangladesh. Sultana R, Uddin MN, Rahim MA and Fakir MSA 2016. Effect of salt stress on germination and seedling growth in four maize genotypes. International Journal of Natural and Social Sciences, 3(4): 20-27. M.M. Hasan, M.S.A. Fakir, M.M. Rahman, S. Moonmoon and S. Naznin 2016. Fruit Growth and Proximate Composition of Dilllenia indica Linn. Intl. J. Minor Fruits Medicinal Aromatic Plants, 2(1):19-24. Fakir MSA, Rahman MM 2015. Biodiversity of Medicinal plants in Bangladesh: Prospects and problems of conservation and utilization. Intl. J. Minor Fruits Medicinal Aromatic Plants, 1(1): 1-9. Hasan MM, Fakir MSA, Rahman MM, Rahman MM, Naznin S, 2014: Fruit Growth and proximate composition of Desi Gab (Diospyros peregrina) and Bilati Gab (D. discolor), Bangladesh Argic. Univ. Res. J. 12(2): 261-266. Das SS, Fakir MSA, 2014: Pod growth and seed composition in two genotypes of Lablab purpureus. Legume Res. 37(3):306-310. Fakir MSA, Puteh AB, Hossain MA, Mallik P, Hossain ASMS, Saha BC, Mondal MMA, 2014. Effects of source and sink removal on yield attributes and yield of mungbean [Vigna radiata (L.) Wilczek]. Research on Crops 15(2):437-443. Fakir MSA, Siddique MAB, Islam A, Ismail MR, Uddin MK, 2013. Leaf area estimation by linear regression models in Pigeonpea (Cajanus cajan (L.) Millsp.). J. Food Agric. Environ., 11(2,): 312-16. Jahan S, Sarwar AKMG, Fakir MSA, 2103. Phenology, floral morphology and seed yield in Indigofera tinctoria L. And I. suffruticosa Mill. Bangladesh J. Bot. 42(2): 231-237. Jahan S, Sarwar AKMG, Hossain MA, Fakir MSA, 2013. Floral morphology and seed yield in two Indigofera spp. as affected by shoot clipping. 2013. J. Bangladesh Agric. Univ., 11(1):61-66. Fakir MSA, Das SS, Islam F, 2013. Seed growth and seed quality in Dipogon lignosus (L.) Verdc. bean. Legume Res., 36(5):380-386. Mondal MM, Fakir MSA, Puteh AB, Malek MA, 2013: Deflowering effect on morphophysiological features and yield in mungbean. J. Food Agric Envir., 11(2): 557-562. Islam MM, Ahmed M, Fakir MSA, Begum K, 2013. Effect of date of sowing on the yield and yield contributing characters of chickpea varieties. Bangladesh J. Nuclear Agric. 27 & 28: 33-37. Islam MM, Ahmed M, Fakir MSA, Begum K, 2013. Effect of phosphorus and biofertilizer on yield and yield contributing characters of chickpea. Bangladesh J. Nuclear Agric. 27 & 28: 57-62. Islam MM, Ahmed M, Fakir MSA, Begum K, 2013: Effect of cultivar and row spacing on the yield and yield contributing attributes of chickpea. Bangladesh J. Nuclear Agric. 29: 85-90. Islam MM, Bhuiya SH, Fakir MSA, Begum K, 2013. Chickpea seed quality as affected by radiation level and types of storage container on the quality of chickpea seed. Bangladesh J. Environ. Sci. 24:172-175. Islam MM, Ahmed M, Fakir MSA, Begum K, 2013. Effect of cultivar and dose of sulphur on the yield and yield contributing characters of chickpea. Bangladesh J. Environ. Sci. 24:176-179. Tareq MZ, Hossain MA, Mojakkir AM, Ahmed R, Fakir MSA, 2012. Effect of salinity on reproductive growth of wheat. Bangladesh J. Seed Sci. & Tech. 15 (1 &2): 111-116. Tarek MZ, Hossain MA, Mojakkir MA, Ahmed R, Fakir MSA, 2012. Effect of salinity on reproductive growth of wheat. Bangladesh J. Seed Sci. Technol., 15 (1&2): 111-116. 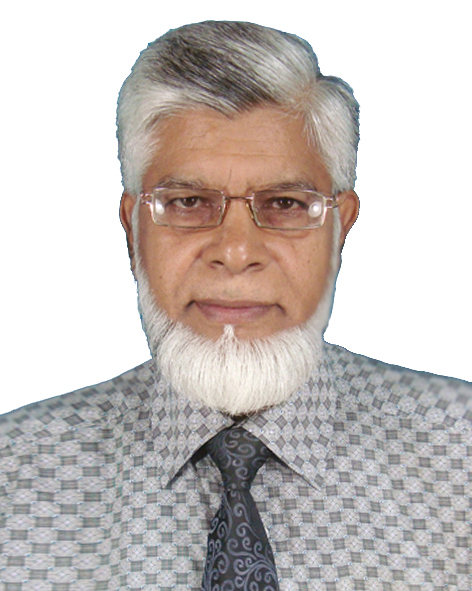 Fakir MSA, Islam MM, Islam A, Islam F, Chowdhury MM, 2012. Capsule growth and calyx protein content in Hibiscus sabdariffa L. var. sabdariffa. J. Agrofor. Envir., 6(2) 1-4. Das SS, Fakir MSA, Ferdausi A, Biswas MMI, 2012. Morphological, growth and biochemical features of Dipogon lignosus (L. Verdc.) bean. J. Bangladesh Agric. Univ., 10(1):43-48. Fakir MSA, Khatun M, Islam A, Uddin MN, 2012. Nodal position effect on reproductive efficiency and seed yield in four mustard varieties. Bangladesh J. Seed Sci. Technol., 16(1&2):62-68. Fakir MSA, Jannat M, Mostafa MG, Sea H, 2012. Starch and flour extraction and nutrient composition of tuber in seven cassava accessions. J. Bangladesh Agric. Univ., 10 (2):217-22. Islam A, Fakir MSA, 2012. Reproductive efficiency methods and their relationship with siliqua production in Mustard, J. Bangladesh Agric. Univ., 10 (2):223-28. Fakir MSA, Habiba U, Imam MM, 2012. Effect of raceme position on reproductive efficiency of mustard genotypes. Bangladesh J. Seed Sci. Technol., 16(1&2):172-177. Islam MM, Ahmed M, Fakir MSA, Begum K, 2012. Seed quality of chickpea genotypes as affected by drying level and types of storage container Bangladesh J. Nuclear Agric. 23 & 24: 45-51. Islam MM, Ahmed M, Fakir MSA, Begum K, 2012. Effect of types of storage container on the quality of chickpea seed. Bangladesh J. Nuclear Agric. 25 & 26: 103-110. Mondal MMA, Rahman MA, Akhter MB, Fakir MSA, 2011: Effect of foloiar application of nitrogen and micronutrients on growth and yield in Mungmean (Vigna unguiculata (L.) Wilczek). Legume Res., 34(3): 166-171. Mondal MMA, Rahman MA, Akhter MB, Fakir MSA, 2011. Effect of defoliation during reproductive stage on yield in Mungbean (Vigna unguiculata (L.) Wilczek). Legume Res., 34(3):222-225. Mondal MMA, Fakir MSA, Islam MN, Samad MA, 2011. Physiology of Seed yield in Mung bean: Growth and dry matter production. Bangladesh J. Bot., 40(2):133-138. Fakir MSA, Mondal MMA, Ismail MR, Ashrafuzzaman MA, 2011. Flowering pattern and reproductive efficiency in Mungbean. Intl. J. Aric. Biol., 13:966-970. Fakir MSA, Talukder MHR, Mostafa MG, Rahman MS, 2011. Debranching effect on growth and yield in Cassava. J. Agrofor. Environ., 5(1):1-5. Fakir MSA, Mostafa MG, Karim MR, Prodhan AKMA, 2011: Prediction of leaf number by linear regression models in cassava. J. Bangladesh Agric. Univ., 9(1):49-54. Mondal MMA, Fakir MSA, Ismail MR, Ashrafuzzaman M, 2011: Effect of defoliation on growth, reproductive characters and yield in Mungbean (Vigna unguiculata (L.) Wilczek) Aust. J Crop Sci., 5(8):987-992. Mondal MMA, Fakir MSA, Prodhan AKMA, Ismail MR, Ashrafuzzaman M, 2011. Effect of nodal position on rachis morphology and yield in raceme of Mungbean (Vigna unguiculata (L.) Wilczek). Aust. J. Crop Sci., 5(13): 1685-1691. Mondal MMA, Fakir MSA, Juraimi AS, Hakim MA, Islam MM, Shamsuddoha, ATM, 2011: Effect of flowering behaviour and pod synchrony on yield of Mungbean (Vigna unguiculata (L.) Wilczek), Aust. J. Crop Sci., 5(8):945-953. Mondal MMA, Fakir MSA, Prodhan AKMA, Ismail MR, Ashrafuzzaman M, 2011. Deflowerinng effect on vasculature and yield attributes in raceme of Mungbean (Vigna unguiculata (L) Wilczek) Aust. J Crop Sci., 5(11):1339-1344. MSA Fakir, MG Mostafa, H Seal and MA Rahim. 2016. A decade of research on cassava towards using as potential supplementary food, feed and raw materials for industry in Bangladesh. World Congress on Root and Tuber Crops, Nanning, Guangxi, China, Jan 18‐22, 2016. Fakir MSA, Islam MR, Sagar A, Kashem MA and Rahim MA 2015. Farmers’ Knowledge, Attitude and Practices of Moringa as Nutritional and Medicinal Food in Bangladesh. First Intl. Symp. “Moringa: A Decade of Advances in Research and Development” Crowne Plaza Manila Galleria Hotel, Manila, Philippines, 15-18 November 2015. Fakir MSA, Mostafa MG, Seal HP, Rahim MA and Prodhan AKMA 2014. Cassava (Manihot esculenta Crantz.) is a potential food security crop under changing climate in Bangladesh. In book of Abstract of the 5th International Conf. “Agriculture, Food Security & Climate Change” 9-11 Sept, 2014, Univ. Poonch Rawala Kot, Jointly organized by Univ. Poonch Rawala Kot & Pakistan Agricultural Scientists Forum, Pakistan. p. 4. Fakir MSA, Rahim MA, and Alam MS 2014. Improving the value chain and linking the market for mango growers in Bangladesh. In Book of abstract, World Mango Conference, June 24-25, 2014, Univ. College Agric. Envir. Sci. The Islamic Univ. Bahawalpur, Punjab, Pakistan. p. 01. Fakir MSA, Mostafa, MG, Seal H, Prodhan, AKMA and Rahim, MA. 2014. Selection of cassava (Manihot esculenta Crantz) accessions and processing of leaf for use as a protein rich vegetable in Bangladesh. In Book of abstract, Regional Symp. on sustainable small scale vegetable production and marketing system for food and nutrition security. 25-27 February, SEAVEG 2104: Families, Farm Food.2014. Bankok, Thailand. p. 128. Akhter S, Fakir MSA, Hossain AKMZ, Saieed MAU and Moonmoon S. 2013. Cassava leaf compost is a substitute to urea for growth and yield of ‘boro’ rice. Book of Abst. Bangladesh Soc. Agron., 12th Annual conf., BARC Auditorium, Farm Gate, Dhaka, Bangladesh, 20 Sept., 2013, p.19-20. Rahman MM and Fakir MSA 2013. Medicinal plant biodiversity in Bangladesh: Prospects & Problems of conservation and utilization. Proc. 2nd Intl. Symp. Minor Fruits Medicinal Plants. Fac. Agric. Univ. Ruhuna, Mapalana, Kamburupitiya, Sri Lanka, 20 Dec. 2013, p.10-11. Fakir MSA, Mostafa MG, Seal H and Prodhan AKMA 2013. Food security in Bangladesh: Cassava (Manihot esculenta Crantz) could be a potential supplementary crop to rice and wheat. Abst. Souvenir Int. Conf. Biotechnol., Organised by CARES (Committee for Agric. Res. Extn & Education), The Westin, Ghulshan, Dhaka, 25-26 May, 2013. p.16. MSA Fakir and MA Rahim 2012. Jackfruit vegetable yield and proximate composition at three growth stages. Abst. In. Souvenir First Intl. Symposium on Jackfruit and other Moraceae, ASPADA Conf. room and Bangladesh Agric. Univ. Campus, Mymensingh, Bangladesh, 18-20 November, 2012. p. 39. Fakir, MSA, Mostafa, MG, seal, HP and Prodhan, AKMA. 2011. Food Security in Bangladesh: Hydrogen cyanide toxicity and proximate composition of Cassava (Manihot esculenta) tuber as influenced by cultivation protocol. Paper presented in the workshop, 6-7 February, 2011. Abstract published in the proceedings of Bangladesh Agricultural University Research System (BAURES), Mymensingh, Bangladesh. MS Rahman, MSA Fakir, MM Islam, L Hassan and MG Mostafa 2010. Sustainable Rice Production in Coastal Areas of Bangladesh: Screening of Rice Genotypes Based on Root and Shoot Growth. Abst. Published, In 9th Natl. Symp., Recent Outlook on Sustainable Agric., Livelihood Security and Ecolo. Coastal Region. Calangute, Goa, India, Indian Soc. Coastal Agric. Res., 27-30 Oct., 2010, p. 23. MSA Fakir, 2009. Pulses in Bangladesh: Constraints and prospects. Proc. Intl. Conf. ‘Quality Seed and Food security’ held at the Bangladesh Agric. Univ. Mymensingh, Bangladesh, 17-19 Feb., Agro forestry Soc. Bangladesh, Fruit Sci. Soc. Bangladesh and Seed Sci. Soc. Bangladesh, p. 23-32.